Juno Beach is a town in Palm Beach County, Florida, United States. As of 2004, 3,391 people lived there. 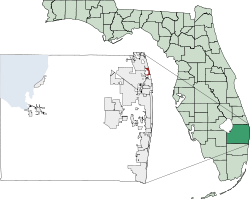 Juno Beach is home to the headquarters of Florida Power & Light. Wikimedia Commons has media related to Juno Beach, Florida.